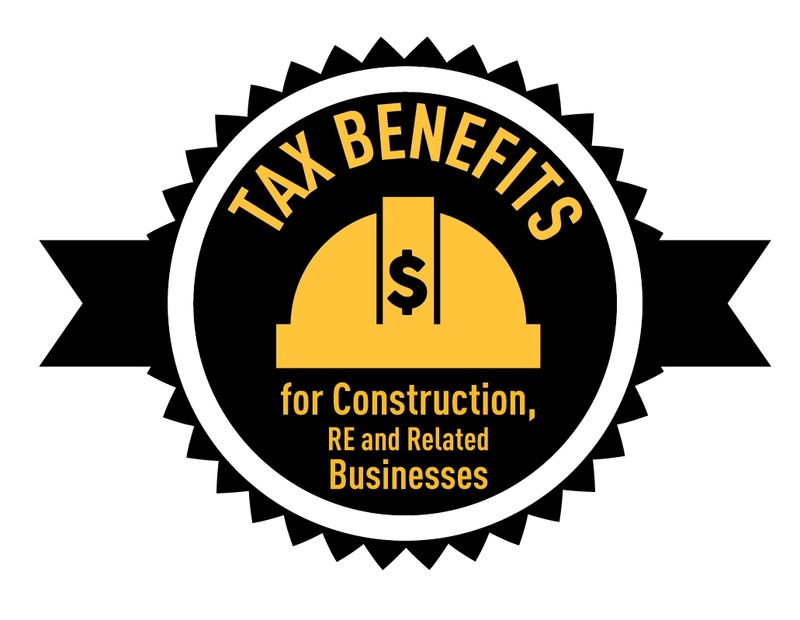 No matter how your construction or construction-related company is set up tax wise, the new federal tax reform rules should offer your company some significant tax benefits. If you’re a C Corporation, the biggest benefit is the reduction of tax rates ranging from 15% to 35% to a flat 21% rate. The Corporate Alternative Minimum Tax also has been repealed. If you’re the owner of pass-through entity – an S Corporation, partnership or sole proprietorship – there’s also a major new business deduction for you. It’s not as easy to understand, but in some cases may be more beneficial. And while the new federal tax law includes many benefits for businesses, there are some losses as well. Read on to learn about the most significant changes. This new major benefit for owners of pass-through entities shelters taxable income that would otherwise be taxed as ordinary income, which is subject to the marginal individual tax rates. And as with many IRS rules, the bigger the tax benefit, the more complicated the qualifications. In a nutshell, the deduction allows a person to simply “not pay income taxes” on 20% of their income in tax years 2018 through 2026. Restrictions kick-in to reduce the benefit when a taxpayer’s income rises and there are a different set of qualifications for so-called service businesses, including doctors, lawyers, accountants, performing arts, athletics, financial and brokerage services. So what is Qualified Business Income? It’s the ordinary trade or business income earned by a sole proprietorship, S corporation or partnership and includes gains on dispositions of assets if law treats those as ordinary income. QBI does not include wages earned as an employee or income earned at favorable rates, such as tax-exempt interest income, dividend income and capital gains. The calculation is complicated but worth undertaking to obtain the maximum benefit. Your CPA can determine what you could qualify for and can make suggestions on steps to take to increase your benefit. Both Bonus and Section 179 Depreciation were greatly increased in the act. Both methods can be used to accelerate write-offs of business asset purchases, including building improvements, computer systems, vehicles, machinery, equipment, office furniture and so forth. First year Bonus Depreciation was increased from 50% to 100% and can now be allowed for both new and used qualifying property through 2022. For Section 179, the maximum deduction was increased from $510,000 to $1M with the phaseout threshold increasing from $2.03M to $2.5M. The tax reform act included a major benefit for construction companies whose average annual revenue is between $10 million and $25 million. Small construction companies – those whose average revenues are $10 million or less for the preceding three years – had an option of using the so-called completed contract method of accounting for long-term contracts, which allows for the deferral of taxes. The limit for using the completed contract method has now been raised to $25 million, which is a big boon for mid-size construction companies. You have to file a change of accounting method to take advantage of this benefit. This benefit, which allowed businesses to take a 9% deduction of qualified production income – up to 50% of W-2 wages – on products manufactured in the U.S. has been entirely eliminated. Business entertainment expenses – such as taking a client golfing or to a football game – used to be 50% deductible, but no longer is. Business meals remain 50% deductible. Meals provided by employers for their convenience – such as providing lunch on a job site – dropped from 100% to 50% deductible. Company holiday parties remain 100% deductible. Get more details here. Tax-deferred exchanges of appreciated like-kind property is now only allowed for real estate for exchanges – personal property asset exchanges no longer qualify. If your business has a bad year in 2018 or beyond, the maximum amount of taxable income you can offset with NOL deductions will only be 80% instead of 100%. You also can no longer carry back NOL deductions, but you can now carry them forward indefinitely. As you see, not everything included in the new federal tax reform act is a benefit for businesses, but the Qualified Business Income Deduction for pass-through entities and the C Corp tax rate reduction can bring big benefits, especially if you take the time in 2018 to plan for your best outcome. There are many accounting rules and tax benefits specific to the industry, and if you’re not working with a CPA with construction experience, you’re likely missing out. Looking to learn more about how the new tax laws affect construction and construction-related companies? Attend our in-depth seminar at the Associated Builders and Contractors' East Norriton office.